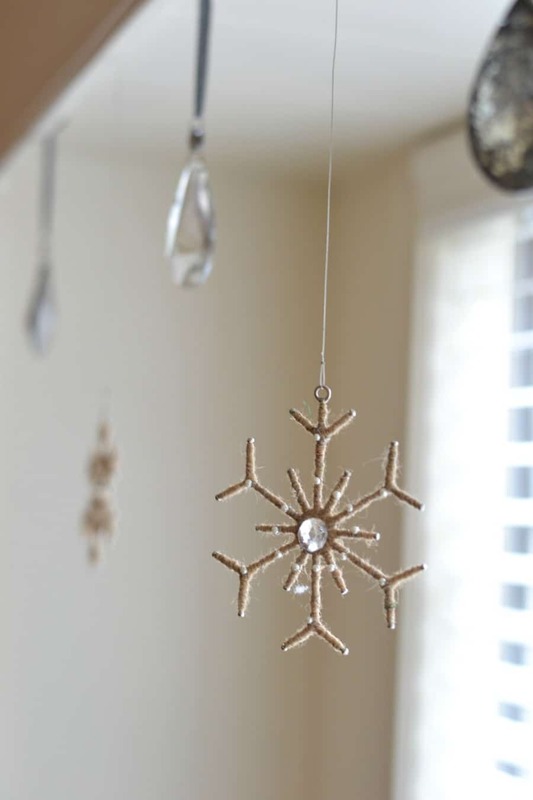 Christmas ornaments aren’t just for Christmas trees! 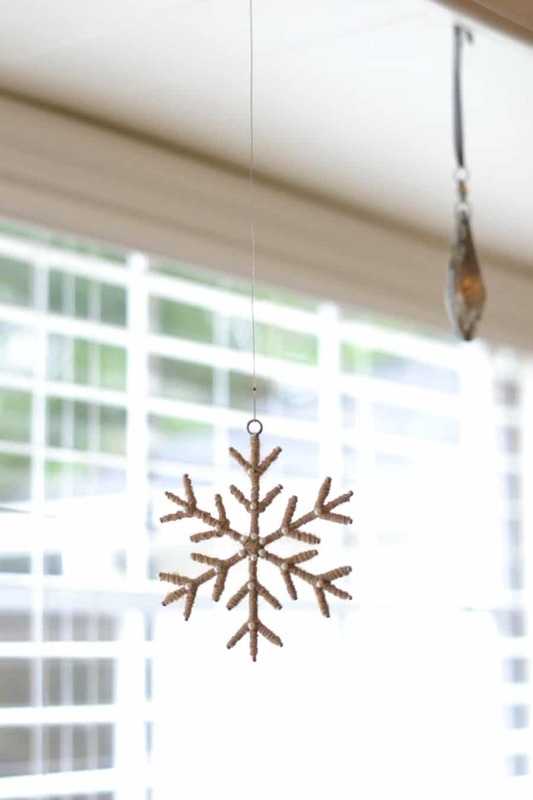 If you’re looking for some simple and inexpensive ways to decorate your home for the holidays, I’ve got lots of ideas for ways to use ornaments throughout your home. I absolutely love decorating for Christmas, but I’m not one of those people who does the same thing year after year. 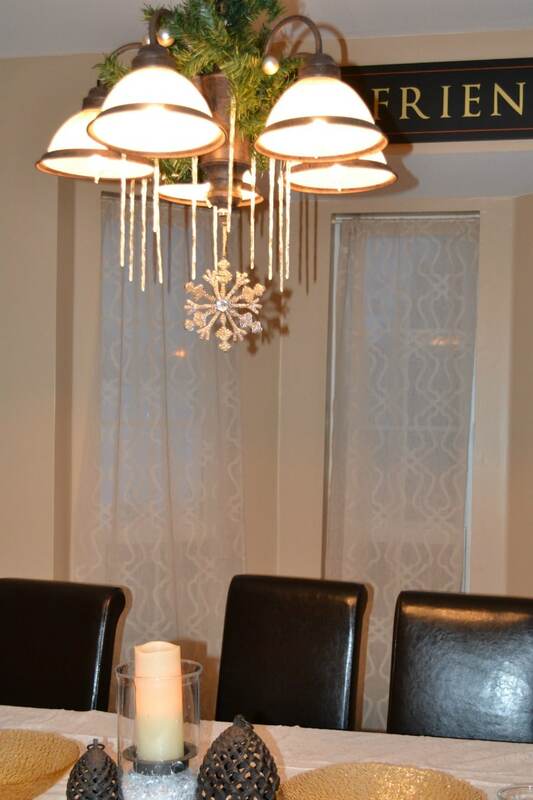 With frequently changing homes and frequently changing tastes, I’m always changing things up with my holiday decor. Part of the fun of decorating for Christmas is figuring out new ways to decorate with things I’ve had forever. And one of my favorite ways to get creative without spending lots of money on new decor is to dig into the boxes and bins of Christmas ornaments I’ve saved from years past. Once I’ve got my ornaments unpacked, I start looking around for places to put them. First I scout out any sort of container that would look nice with some ornaments inside. 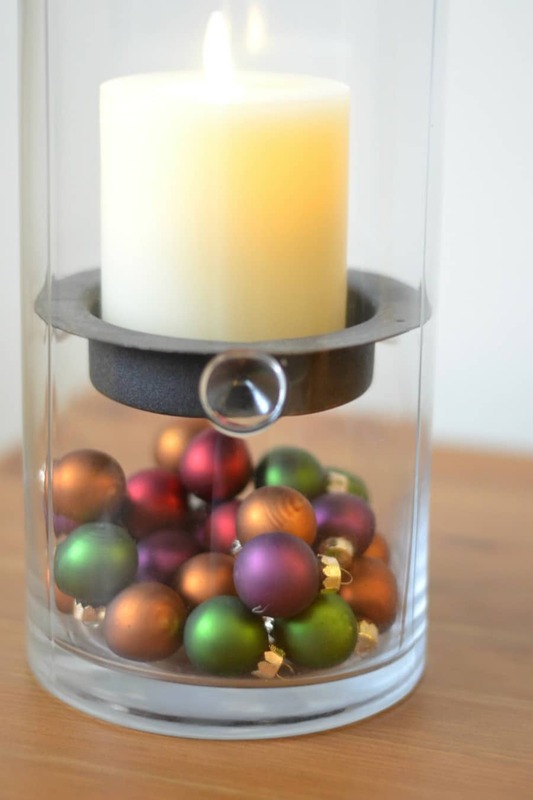 This hurricane candle holder (above) is perfect for the tiny little ornaments I picked up for $1.oo. 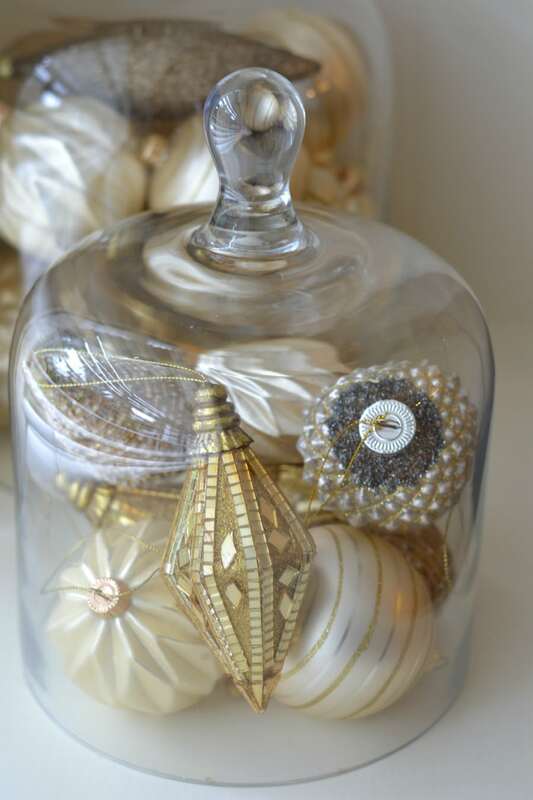 And my glass cloches look so festive when I fill them with an assortment of ivory and gold ornaments. 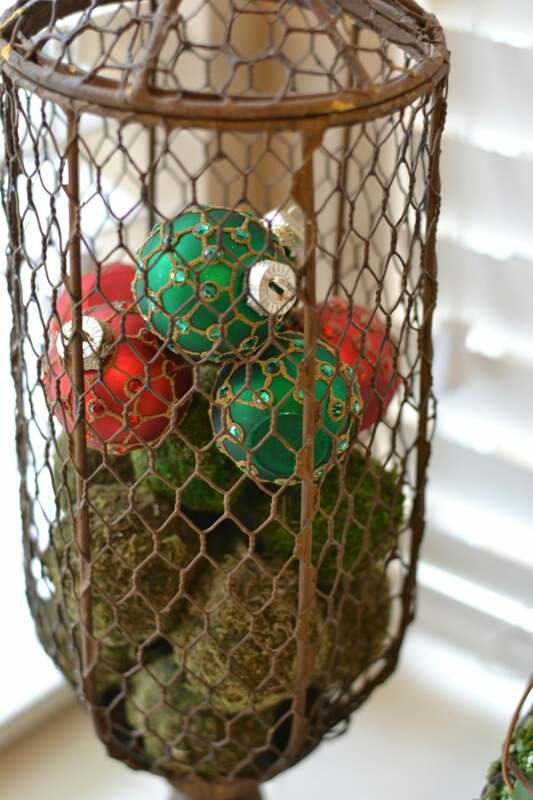 I also like to pop a few ornaments into this vintage chicken wire container to add some festive color to the green moss balls that typically hang out in there. Containers are just the beginning! 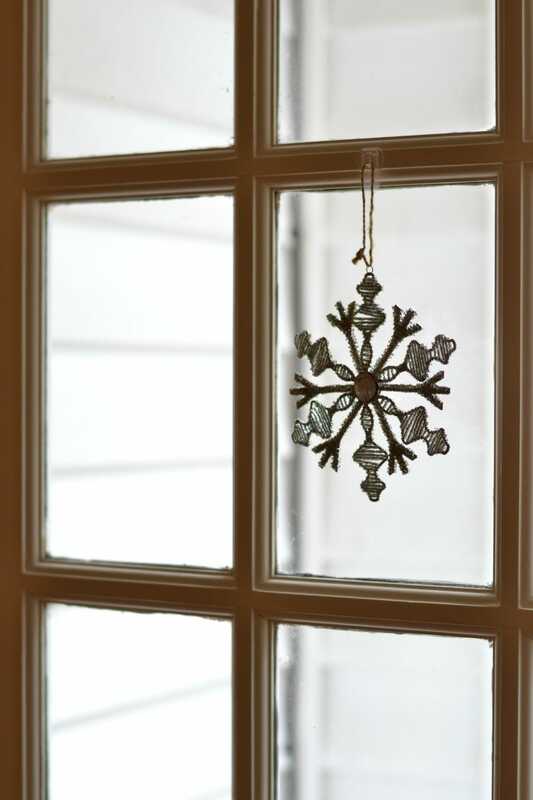 You can also hang ornaments from windows, eaves, door frames, and anywhere else you’d like to add a little sparkle. 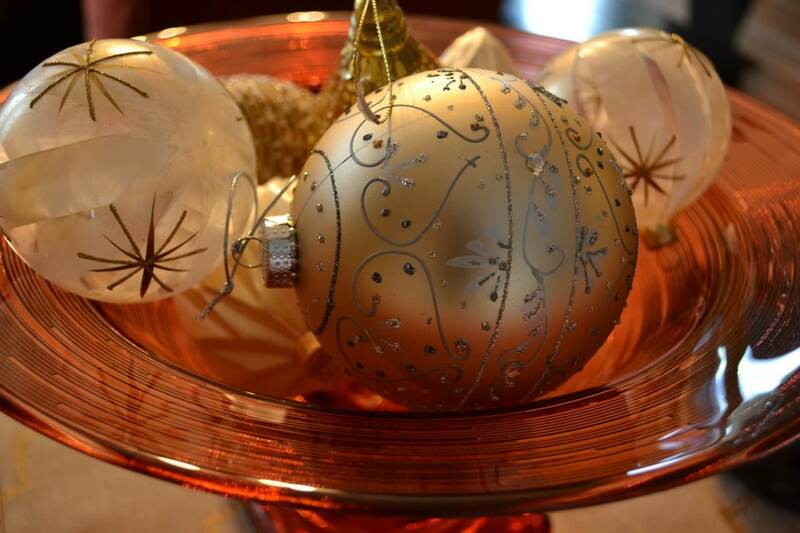 I tend to pick up a few new ones each year whenever I spot a great deal or a gorgeous ornament that I just love. Mercury glass is a favorite of mine, as is anything with a little bit of vintagey-rustic flair. wow….Great idea…Thank you so much for this idea..these could be easy and I will definitely try this..More than that it will be time and money saving one.I will be here to check more posts like this.